I am a quote person. In fact, when I first started this blog, I ended every post with a quote. There is just something about quotes. There are so many, so many things people say that are worded just the right way to make you feel something. There are ones that can make you think about your life. Whether it motivates you, cheers you up or gives you a little smack, there are quotes that you keep coming back to. My personal favorite right now is this one. Many times we sit and compare ourselves to other people. We want to be better than the person next to us. When in reality, we should just be focused on our journey, our own growth. I look at this quote and try to keep repeating it to myself. It's been all too easy for me lately to look around at other people and how they are moving forward with their lives. It;s easy for me to compare their new job, better job and wondering what I'm doing wrong. 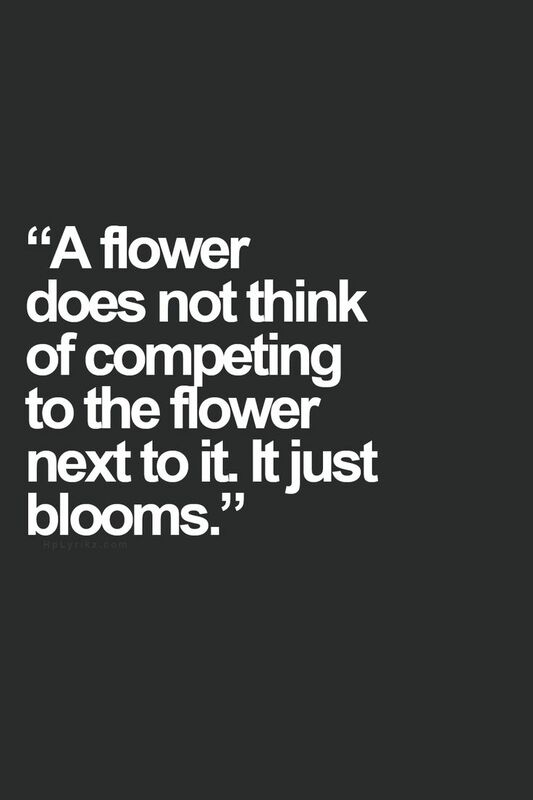 I just need to remember that I need to grow by my own standards without competing with other people's lives. This is a perfect quote! I think in the blog land, we all compare ourselves, and we all just need to stop! Love this! Very nice! Competition is so prevalent today that this really puts it into perspective! Love this one! I'm a quote person too--can't get enough! It's so easy to look at the "bigger" blogs and think why am I not where they are? But I need to keep going at my speed and what works for me. Social media really takes it up a notch for sure. It can be easy to see what everyone wants you to see not really knowing their behind the scenes. My Pinterest board gets a few new quotes a day. Some days I feel like they are all talking to me, deep into my soul.